Cora Dyslin performs a health check on a Pacific pocket mouse under infrared light at a San Diego Zoo Global lab. Unlike most researchers, Cora Dyslin works in the dark, but she is bringing important research to light about an endangered species. 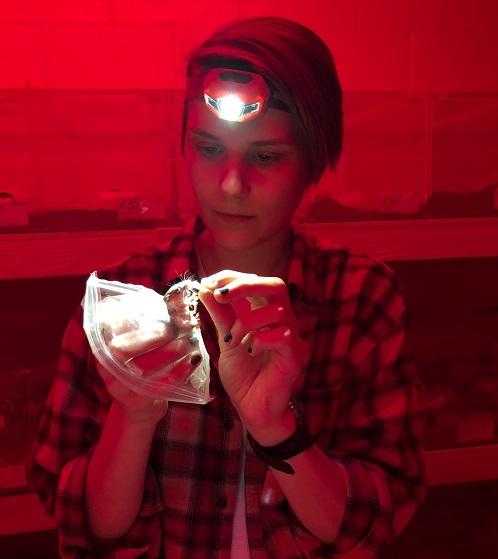 While most people are sleeping, Cora Dyslin, ’17, is working in the dark with mice at San Diego Zoo Global.